In the summer of 2007, trying to add some bullpen help, we traded away 2003 1st round pick David Murphy, Kason Gabbard and promising prospect Engel Beltre to Texas for closer Eric Gagne. This Canadian wasn't going to close for us - Jonathan Papelbon was firmly entrenched in that position - but the plan was that he was going to solidify the bullpen. Well, he certainly didn't do that! He managed to blow 4 saves and lose 2 games in the few games in which Francona entrusted him with the ball when we had a lead. But in Game 3 of the ALDS, he was called in to protect a 9-0 lead. Although he gave up a leadoff double, threw a wild pitch and gave up the only run the Angels scored, the lead was too big for even Gagne to give up. He induced pinch hitter Robb Quinlan to hit a 2 out fly ball to JD Drew, and Eric Gagne was the Boston pitcher on the mound when the Red Sox clinched a berth into the ALCS. Canadian Eric Gagne has the distinction of being one of only 12 pitchers to be on the mound when the Red Sox clinched a playoff Series. A quick thanks to BBA member Paul "Sully" Sullivan, whose post on Red Sox pitchers who clinched post-season series inspired me to include this on the list. Epilogue: The Red Sox went on to win the ALCS in a thrilling 7 game Series over the Indians, (highlighted by the 13th inning in Game 2 when the Red Sox allowed Eric Gagne to take the mound as Cleveland scored 7 runs and he became the first Red Sox pitcher to lose an ALCS Game since THE CURSE was broken), and then swept the Rockies to win the World Series. Somehow Francona still trusted Gagne to pitch in the World Series, as he closed out Game 1 with a 10-3 lead. 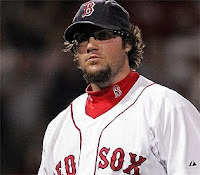 Mercifully, the day after the victory parade, Eric Gagne was released, and is no longer a member of the Red Sox. 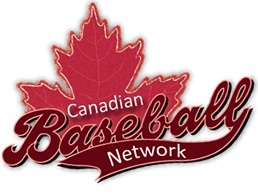 And in case I haven't been clear, I was never a fan of this Canadian ballplayer prior, during or after his tenure in Boston.